Amnesty International has made worrying claims at Qatar, ahead of the 2022 World Cup in their country. The human rights group has accused Qatar of using forced labour at their flagship stadium, which is being constructed to host football matches during the 2022 tournament. Amnesty has made claims that workers at Khalifa International Stadium are forced to live in squalid accommodation, pay huge recruitment fees, have had wages withheld and passports confiscated. The issue has also brought the sport’s governing body FIFA into the mire, after accusing them of “failing almost completely” to ensure the tournament wasn’t being “built on human rights abuses”. Qatar has responded and said it was “concerned” by the allegations and they would investigate the claims. Their government said the welfare of migrant workers is a “top priority.” After a number of similar stories that have emerged recently, these remarks may be taken with a pinch of salt. However, they have said they will reform the labour laws in the state. Amnesty interviewed 231 migrants during their research. It said staff of one labour supply company threatened to withhold pay, or hand workers over to police to exact work from them. 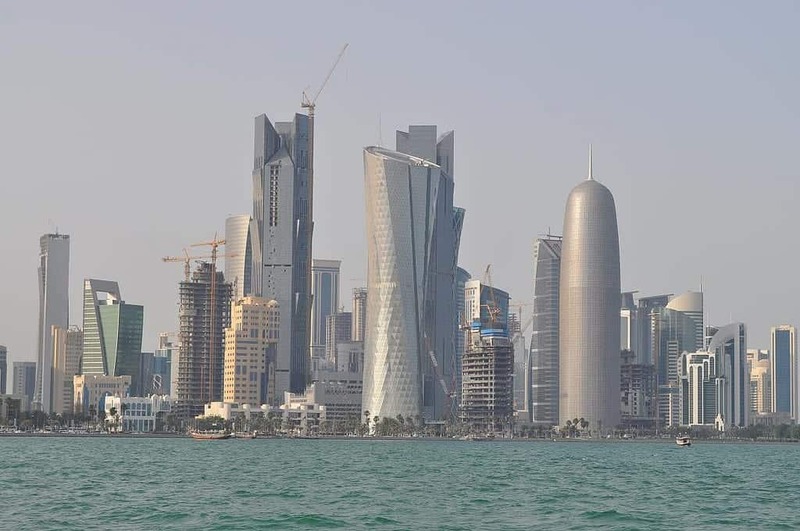 Its hardly the first time Qatar has been accused of ill treating its migrant workers. Previous reports have told hundreds of young men who died working at the site. Almost a year on to say they ‘will investigate’ is shocking.